It was a Carbon 65, in a very nice ceramic gray color. Somewhere between white and silver with a very fine metal flake or pearl. That black coupe in the left lane is a Trans Am GTA from about the same era as my C4. These would have been rivals when new. This definitely was an 8 series. 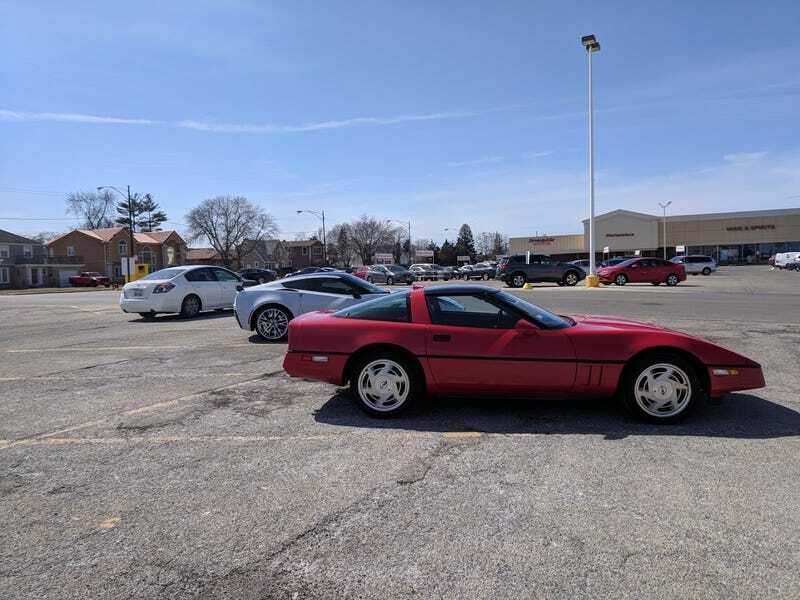 Sometimes I cross paths with other C4's. Sometimes I drive in the snow. Though to be fair, today there was 2 inches of snow on my hood, not the roads. They were just slick.